If you want to change anything about a pre-exisiting Preset, without having to resave it, you can do that easily. 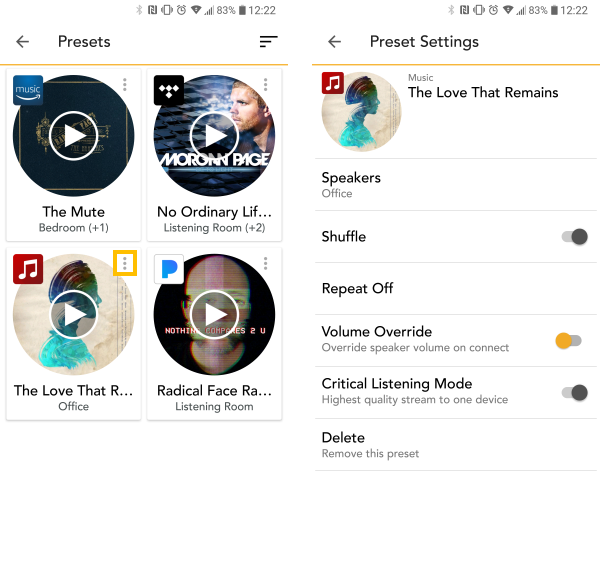 Simply go to the Preset screen as if you were going to recall it, and tap on the option button in the upper right of the Preset icon (as indicated below). This will open up the Preset Settings screen where you can change every aspect to your liking. You can't edit a Preset that's been saved a speaker, but you can save over it at any time in the same way that you would on a car stereo.